Traveling is like a roller coaster. It races you into the unknown with highs and lows waiting for you around every curve. Then, suddenly it comes to an end and you gently regain your balance as you get up from your seat and go about your day. For many of us, there is a fear that creeps up at the end of any trip and a question of what happens next? Fortunately, a trip never truly comes to an end. It lives on in our minds. And, by drawing on the experiences that we had, we are able to relive these moments for the rest of our lives in three unique ways. 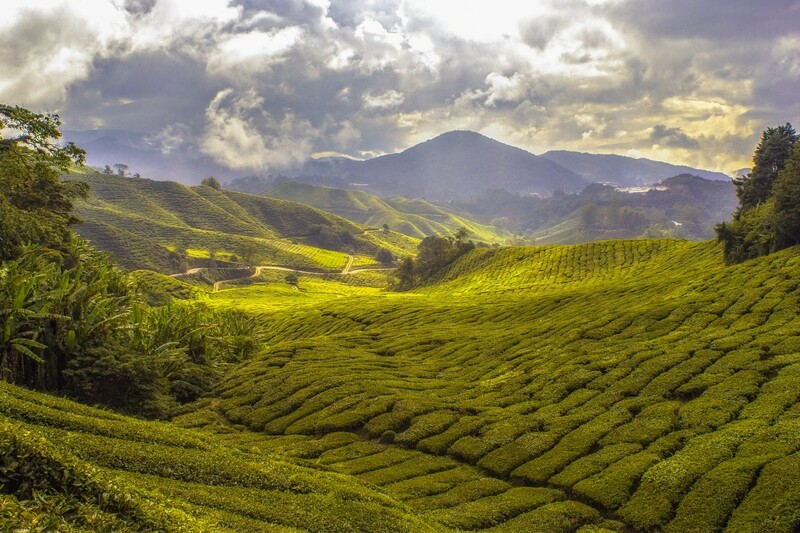 Have you ever sipped a cup of tea and been transported to a faraway land? Bit into a pizza and remembered making them with your grandma as a kid? Heard a song that drew you away from the present? Smelled salt and thought of the ocean? Time travel may not be possible in the traditional sense, but sounds, taste, and smells have the power to transport us back in time, to take us on an adventure through our memories, and to let us relive some of our happiest days. While sitting in the kitchen the other day I watched the steam dance out of my teacup. Before I knew it I was smiling and reminiscing about being in the small mountain town of Sapa, Vietnam, where I sipped tea with a Black Hmong family as it poured down rain and buffalos crossed the horizon. Even when you’re home, you have the power to enjoy your travel journeys in your mind. Allow yourself to remember, and you’ll often find yourself smiling as you walk around town, cook dinner, or read a new book. Perhaps one of the strangest, and simultaneously enjoyable, experiences humans encounter is the feeling of déjà vu. In other words, having a vivid perception that the moment you are living has happened before. We’ve found that a lot of our déjà vu moments occur around experiences we had while traveling. And we love it! There’s nothing better than blasting to the past and feeling like you’re reliving one of your travel moments. And this is by no means a random occurrence. Research has found that “people who travel more or watch more movies are more likely to experience déjà vu than others”. Something about traveling to new places and stimulating your brain with experiences that are totally foreign to your normal life triggers this phenomenon. In other words, the more you travel, the more likely you are to keep reliving your travel experiences for the rest of your life. Your dreams are the one place where you’re truly able to relive moments from our past. Traveling fills your mind with a fountain of meaningful experiences that your brain can conjure up as perceptions, thoughts, or emotions as you sleep. Many people who study dream behavior interpret dreams about traveling as a sign of moving forward in your physical life. Every journey requires some level of transformation, a start, risks to be taken, and opportunities that result from the decisions we make. It’s no surprise then, that dreams of traveling would represent progress and direction in our own life. Our dreams have taken us back to some of our favorite moments traveling together like the mountaintops of the Himalayas, childhood road trips with our families, the jungles of Malaysia and everywhere in between. When we dream of traveling, we usually like to savor the moment for as long as we can. It brings us joy to be reliving our travels years after we have returned. Have you had an experience where you were able to relive a moment you had while traveling? Let us know about it in the comments below.